Apparently, cutting up old tablecloths is a habit of mine. One of my grandmothers passed away last November. 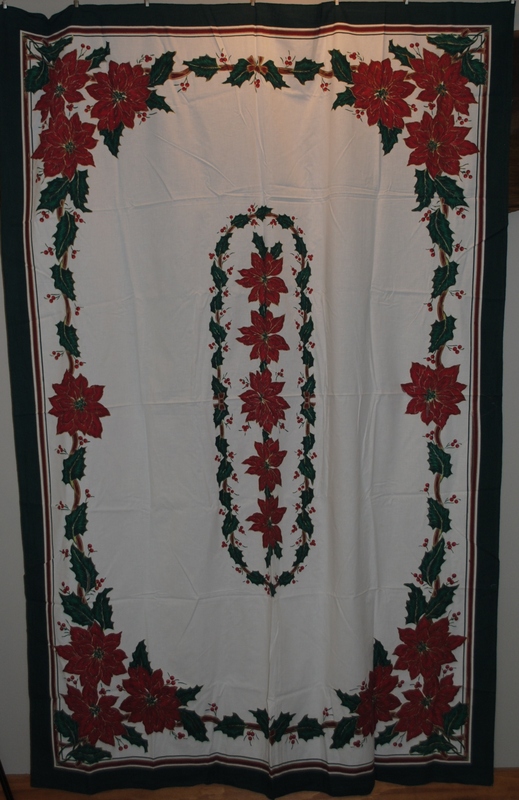 For Christmas last year, I took her old Christmas tablecloth . . .
. . . which was worn and holey, and cut out the poinsettias and holly leaves to applique onto tea towels for my 12 cousins and for my grandmother’s 5 children. I’m just now getting around to the towels for my aunts and uncle this year. . .
My grandmother was truly the matriarch of our family, bringing us together not through stern discipline, but love, kindness, and thousands of hot rolls. Some of my happiest memories are of my extended family squeezed around her farmhouse kitchen table at Christmas (with the kids sitting at a table leaf stretched across open drawers on the desk in the living room because only the adults fit into the kitchen and they just barely fit). 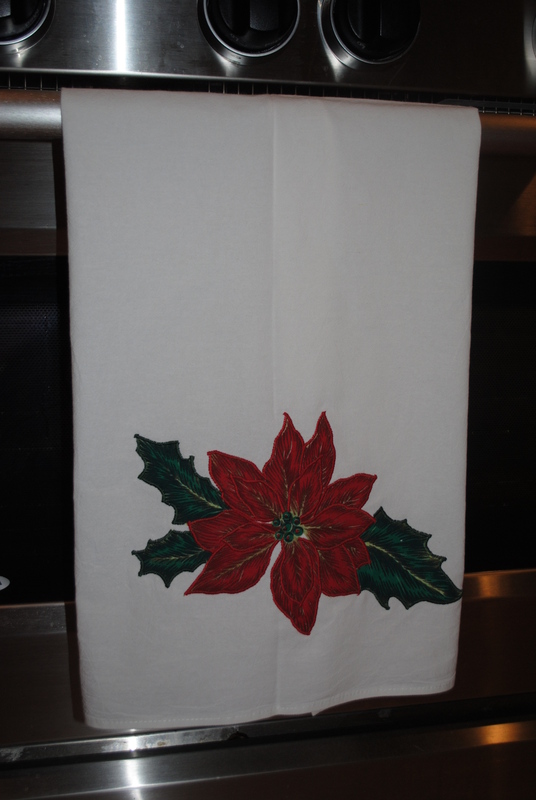 I wanted the tea towel to serve as a happy reminder to all of us of those holidays and of the woman who brought us all together and did so much for each one of us. May your Christmas be filled with family and friends, love, kindness, and hot rolls too. Merry Christmas.